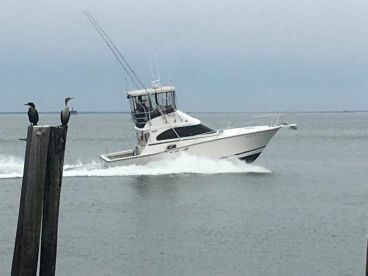 The captains at the helm of Hampton fishing charters have to make a difficult choice every day: do they hit the ever-productive Chesapeake Bay, go offshore into the Atlantic for reel-screaming pelagic fights or fish the many inshore waters of the area, teeming with fish? Whichever one they choose, they’d be happy for you to join them for some of the most exciting game fishing on the East Coast. 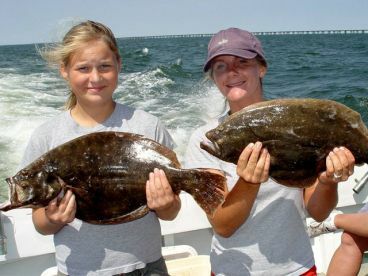 The famous Chesapeake Bay offers anglers over 1,500 square miles of productive waters to fish in. One of the best ports to cast off on your fishing journey from is Hampton, sitting squarely at the confluence of James, Elizabeth, and Nansemond rivers. You can find all manner of fish to go after in this spot, from the tasty Flounder to the hard-fighting Striped Bass, and everything in between! Fishing in Hampton has something for every angler. If you like chumming the waters and watching them boil, head over to the mouth of Potomac River where Bluefish, Weakfish, and Stripers will happily gulp up the chum. Bottom fishing anglers should head out to “The Cell”, west of Vaucluse Shores. Big Flounder and Stripers love this artificial reef system and you can hook up Croakers and Spadefish as well. 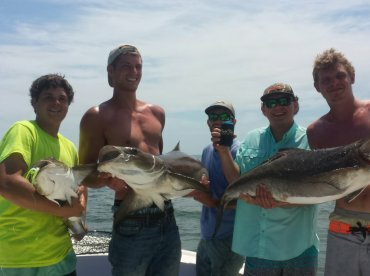 The Bay is chock-full of good bottom fishing spots along the shoals, wrecks, and channel edges. 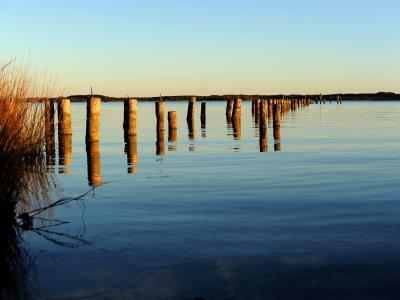 Anglers gunning for Speckled Trout should hit “The Hole in The Wall,” a bay approximately 35 miles north of Hampton that’s famous as an excellent Trout fishery. Shallow draft boats work very well here, due to the narrow bay being surrounded by sandbars and marshes. Trolling fans should head out to the “Cabbage Patch” an artificial reef (made and donated by the Girl Scouts of America) located 6 miles southwest of the entrance to Cape Charles Harbor. 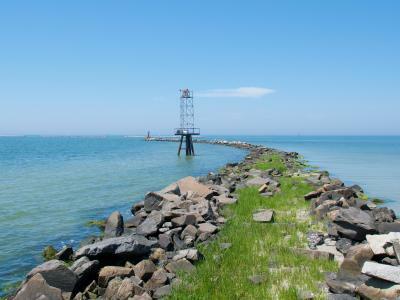 Another spot that produces good results when trolling is the “Middle Ground,” located at the mouth of James River around the Newport News Middle Ground Lighthouse. The hook ups don’t stop at the Bay, the blue waters off the coast of Virginia have incredible fishing action. The deeper parts of the ocean start roughly 90 miles away from the dock in Hampton. Trips heading out to blue waters will usually last between 10 and 12 hours but the travel time is well worth it. As the summer months heat the weather, the pelagics migrate closer to the coast, heating up the action. 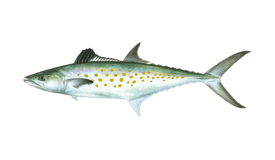 King and Spanish Mackerel can be trolled for near the shore between June and October. The further away you get from the shore the more intense the action becomes. If you get a shiver of excitement when you think of reeling in torpedo-sized Bluefin Tuna, head offshore off the coast of Virginia between June and September. Anglers looking to nab a Blue or White Marlin should hit the waters from June to October. Blue Marlin get really big here—a Grander was caught in these waters in 1978. 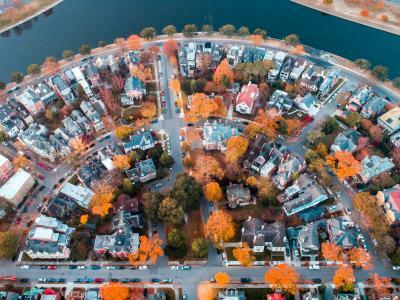 The metropolitan area surrounding Hampton is known as Hampton Roads encompassing the many rivers that flow into the Chesapeake Bay. 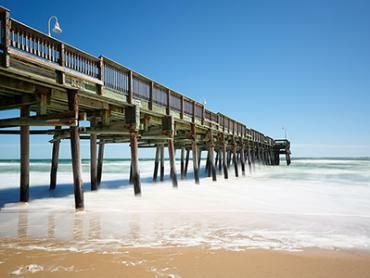 Hampton Roads fishing piers are all over the place, scattered from Hampton to Virginia Beach. 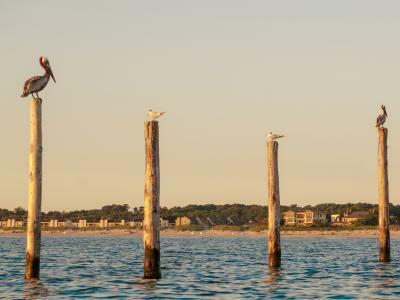 The main species you can reliably reel in from the piers are Spot and Croaker, with rare bites from Bluefish, Weakfish, Stripers and other larger game. Fishing the piers is excellent if you’re not sure whether you want to head out into the waters on a charter, but the thrill of the action can’t compare. Smallies are fun to catch but no angler will tell you he doesn’t want to land a trophy. The Chesapeake Bay is very wide and allows for easy trolling in some places. During the spring and fall anglers report good results when trolling for Striped Bass with spoons, bucktails, and tubes over underwater structures like the Middle Grounds or the Cabbage Patch. The Stripers are usually in the 10-20 lb range but some specimens can get up to 60 lb. Trolling offshore will get you Bluefin Tuna, Bigeye Tuna, White and Blue Marlin, Mahi Mahi, Mackerel, and other species. 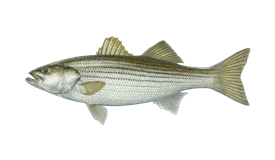 If you’re planning your winter vacation, winter Striper fishing is an excellent way to spend it! The many small bays and oyster beds in the Bay make for excellent bottom fishing in the area. 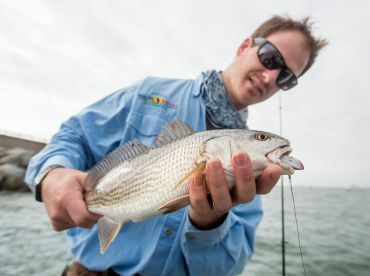 Use squid and peeler crabs to reliably reel in Spot, Croaker, Flounder, and Weakfish. Summer is the best time to go bottom fishing, as the warm weather heats the water just enough for the fish to come to more easily accessible waters. Going after the big beasts you can show off to all of your fishing buddies is a dream of pretty much every angler. Luckily, the waters around Hampton offer you many chances to hook up that fish of a lifetime! 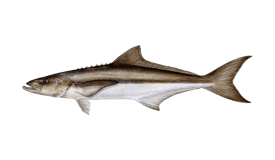 Cobia are hot all summer long, averaging in the 30 lb range. You can find monsters stalking the waters around Latimer Shoal, they grow as big as 100 lb. Chumming with menhaden or fishing with live eels will help you pull one overboard. Gator Speckled Trout swim around the Hole in The Wall, you can keep them from August to late April, though releasing big fish gives other anglers the same sporting chance. Bull Redfish are good in September and November, all over the Chesapeake Bay. The variety of species available around Hampton is staggering, going with an experienced guide will give you the best shot at reeling in “the one”. Just remember to bring a camera, so you can document your personal best! All anglers with a valid Virginia fishing license can take part in the Virginia Saltwater Fishing Tournament. You acquire “citations” by catching six different species above a set length or weight – you can find the exact details online. 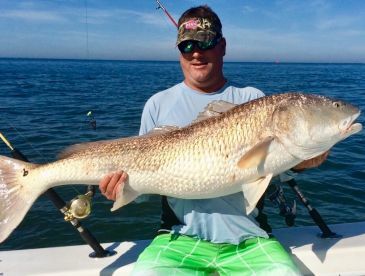 Anglers who receive all six citations within a single year will get an award from the state of Virginia – a certificate, a pin, and a brag-worthy title: “expert saltwater angler”. Will this be your year to shine? Stripers and Tautog are the main targets while the weather is cold. Tilefish can be relatively reliably hooked up a bit further off the coast. 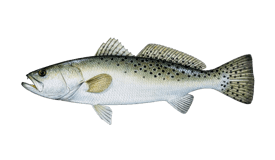 Atlantic Mackerel start showing up offshore during February, while the Striped Bass and Tautog slowly start to wind down. 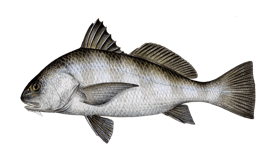 You can also target Tilefish and Sea Bass. April starts to open up the full catch list of the area. 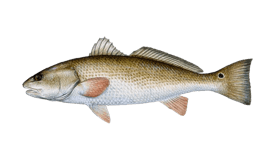 Black and Red Drum, Bluefish, Croaker, Whiting, Speckled Trout can all be targeted now. 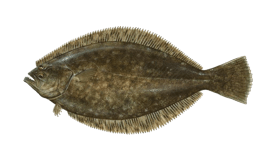 Flounder starts getting really hot. Striped Bass in the Bay starts biting hard. Trophy sized Stripers show up at the start of the month while the numbers increase (and the size decreases) as May goes on. Warm eddies from the Gulf Stream help you spot Tuna in the offshore waters off the coast of Virginia. Remember to pack sunscreen and sunglasses, as you’ll spend the day fighting one Tuna after another. Spadefish start feeding on clams around underwater structures much more heavily in July. You can target them all over the Chesapeake Bay. It’s an offshore extravaganza! Blue and White Marlin, as well as Bluefin and Yellowfin Tuna, get closer to the shore and offer anglers a challenging fight. Cobia action is really good during August. Whether you’re a fan of bobbing on the Bay or trolling the blue waters, September has a fish for you! Every game fish species from the area can be targeted, with the exception of Atlantic Mackerel. Migrating fish start to pull away from Virginia, but can still be targeted, with the likes of Cobia, Tuna, and Mackerel appearing in smaller numbers. Flounder and Redfish are in full swing though! As the weather cools down most fish retreat to hard-to-reach places, but fear not, Striped Bass is as good as ever in November. Speckled Trout and Tautog are also in full force. It’s down to the hardiest fish in the cold month of December, with the local winners being Stripers, Tautog, and Sea Bass. 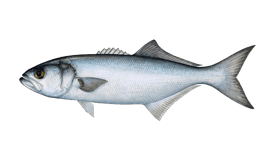 Bluefish isn’t peaking but you can still target it. First timers, Hampton is a great place to go out. Understand that neither captain nor crew can guarantee that you will catch Fish! Enjoy the experience for the experience itself! Yes it was fun and there were fishing biting.